So, this isn’t out on DVD or streaming yet, but according to the Internet, it will be on June 11, so just consider this something to plan ahead for. IN TEN DAYS’ TIME…get out the pillows, pull the cushions off the couch and bust out the spare sheets. It’s time to build a fort, watch a movie, and fall asleep right there on the floor! We went and saw Oz the Great and Powerful at one of those second-run pizza and beer theaters that are so prevalent here in Portland. I was at best not terribly interested in the movie and went for the sake of my kid. But I gotta tell you, this is actually a pretty good, entertaining movie! Now, I don’t know if this has any relation to any of the L. Frank Baum books or is entirely unique, but it fits so perfectly into the back story of the Wizard of Oz. How did Oz get there? How did an admitted charlatan attain Wizard status? Although bits of it are kind of intense, and some parts are scary, I think Felix is more frightened be the mean trees in the original than the flying baboons in this installation. Me too. 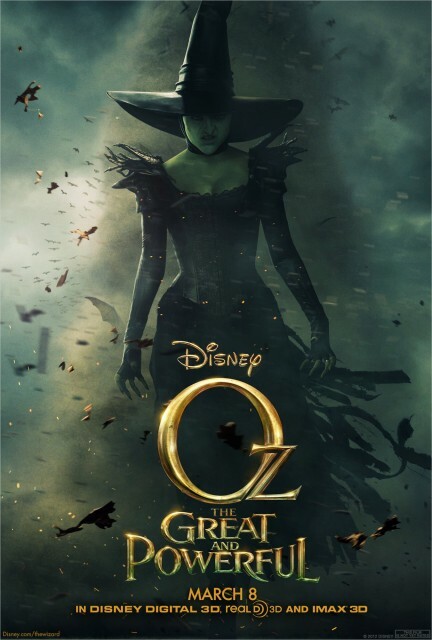 The main criticisms I’ve heard are ones that try to compare it to The Wizard of Oz. It will never be a classic in that sense, but for a Disney movie with appeal to both kids and adults, you could definitely do worse. A fun way to spend a lazy evening together.